The industry – which focuses on assisting their clients with specialist expertise and advisory services – typically offers their know-how in several areas, such as audit, tax, accountancy, consulting, law, corporate governance, corporate finance, and risk assessment. Among some of the most recognisable professional services firms that you can find in Singapore include BDO, EY, Deloitte, KPMG, and PwC – all of which are organisations well-known for offering valuable help when it comes to compliance with various legal requirements related to accounting and business processes. However, with IT and data management now playing a big part in their clients’ daily operations and business strategy, these organisations have also expanded their expertise to include technology. IT audit: IT professionals assess the client’s IT systems to determine its effectiveness and how well it integrates with the business. They will usually focus on issues such as possible security risks and how IT can help increase the company’s efficiency. IT governance: This service involves the checking of the organisation’s IT systems to make sure that they’re operating and complying with Singapore’s legal and accounting regulations. IT project reassurance: IT professionals assess the risk probability of an IT project before a client implements it, and then advises the organisation on ways to manage or mitigate it. Security and privacy: This area includes checking the client’s IT systems for security threats – both internal and external – as well as crisis management in case of the presence of any attacks. 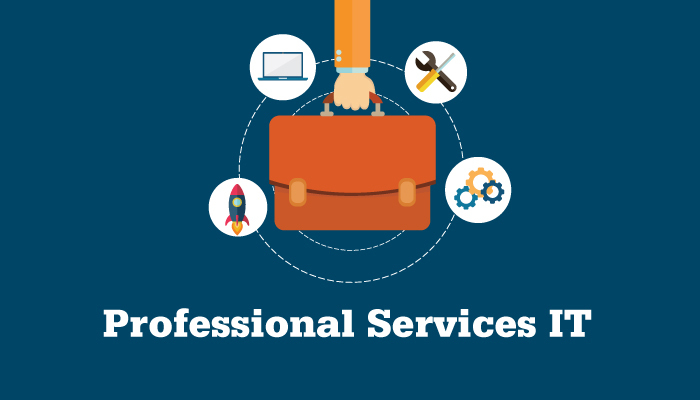 Graduates who join professional services firms usually do so through a specialist graduate programme where you’ll be assigned to a team or a project from the start. Mentoring is likely to help you acclimatise to the work culture, and most of your skills will be picked up during your training on the job and your exposure to different experiences through various assignments. Your work will involve a lot of client-facing as you’ll be working onsite. You will also be working alongside a multidisciplinary team. You may also have to work closely with the client’s in-house IT department or the organisation's IT users (e.g. the staff members) while you assess the risks and develop recommendations to improve their systems. As you progress in your work, you may want to pursue an internationally recognised professional certificate for information systems auditing, control, and security – such as the Certified Information Systems Auditor (CISA), Certified Information Security Manager (CISM), and Certified in the Governance of Enterprise IT certifications. The ISACA Singapore Chapter, a local body that promotes the professional practice of IT governance through continuing education and other efforts, has also introduced a new Certified in Risk and Information Systems Control (CRISC) certification recently. While it is not necessary to have a computer science degree to work in technology-related roles in professional services firms, you do need a strong academic background and a good grasp of numeracy and analytical skills. A clear interest in technology and some knowledge of how it may affect the operation of a business will also stand you in good stead. As your roles will require you to interact with a lot of people, having excellent communication and interpersonal skills is absolutely imperative. Teamwork, commercial awareness, and adaptability are also important in this sector. It is also best to be aware of the latest industry updates, and keep an eye out for up-and-coming regulations and services that are being promoted by government bodies and professional services firms. The constant travelling involved in the job may get tiring for some individuals, however, IT professionals working in this industry find excitement in being able to work in a variety of organisations and sectors. There are also plenty of networking opportunities, so if you enjoy interacting with people as you handle technical responsibilities, this job is for you! The right first job can kickstart a successful career journey ahead.